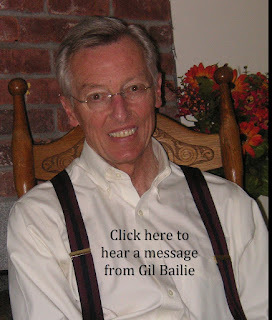 All of us at the Four Mass’keteers are pulling for you, Gil. "God is our refuge and strength, an ever-present help in trouble. Therefore we will not fear, though the earth give way and the mountains fall into the heart of the sea ..."
Gil, as you say in your message: "We have work to do." But it is not your work. It is His. I expect you to keep that in mind this week. Lord, come to the aid of your servant, Gil. Give him the courage and strength he needs to endure the trial. Draw close to him, so that he may know peace and joy in his time of trouble. And if it be your will, I ask that you restore him to full health. Even so, your will be done. My prayers will be for you and a swift recovery. With your wit and strength, I am sure you will recover in record time.